Government on Saturday gave 20 borehole committees in Ndirande K8 million (K400 000 each) to help in the maintenance of boreholes and other services as per required from time to time. The move is a strategy to enable people within Ndirande to have access to water free-of-charge as the committees that have been there had been charging people to pay so that money raised could be used to maintain the boreholes, pay committee members and use of other services when a need arises. Previously, people have been paying for the water ranging from K50 to K100 per bucket. In an interview after presenting the money to the committees, Minister of Local Government and Rural Development Kondwani Nankhumwa, said government thought of such an initiative, which will be a pilot phase targeting a period of six months, to let people have free access to clean water. He said that initially, when government drills boreholes, the water is meant to be free and that people are not supposed to pay for it as has been the case. 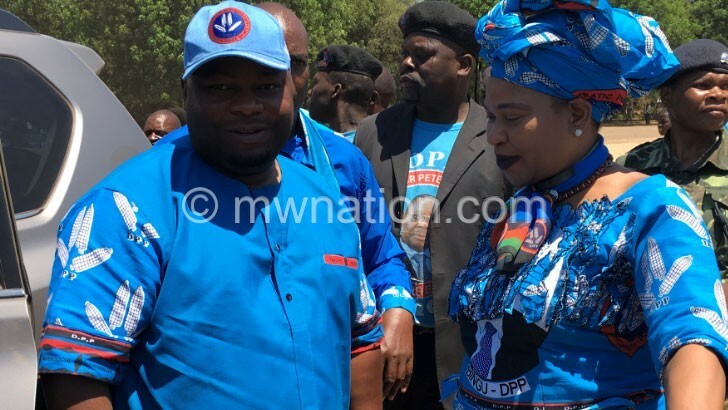 Nankhumwa said the funds have come from government itself through the water development fund and that after the six-month period, there will be a review to reflect on what has been the successes and failures in the pilot phase. He said: “If we find it viable, we are going to continue but if we find that there are challenges, we will also review to see how best we can handle the situation. In a separate interview, Blantyre City Central member of Parliament (MP, Themba Mkandawire, welcomed the initiative saying it will benefit a majority of people in the area as some would struggle to get adequate water due to lack of money to buy the water. He said the initiative shows that government is committed to taking the welfare of people at the grassroots at heart. On his part, group village headmanSomanje, also echoed what Mkandawire said, emphasising it will make peoplewithin Ndirande have access to clean water as some were resorting to drawingwater from unclean sources due to lack of money to buy the water.